Just a decade ago, electric cars seemed like a futuristic vision. Now, there's always a chance of looking to one's left a red light and spotting a Tesla Inc (NASDAQ: TSLA) or even a Solo. 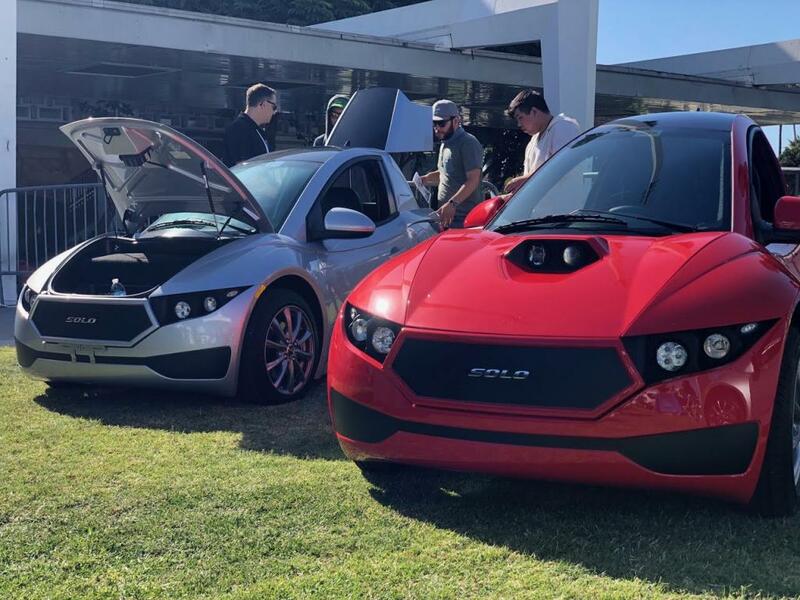 One car company is taking a different approach in the electric race for a cleaner future: Electra Meccanica (NASDAQ: SOLO). When you take a distinguished sports car company — Intermeccanica — and add CEO Jerry Kroll, a man with a passion for race car driving and electric vehicles, you wind up with Electra Meccanica. Intermeccanica already had a lengthy 60-year history of manufacturing and delivering beautiful custom sports cars, with their Roadster being featured in "Top Gun." The expertise and finesse seen in their vehicles lives on through an electric engine. “The way this company was formed is my background is as an environmentalist, believe it or not, working in the IndyCar field as an agent for race car drivers such as Scott Dixon, Ryan Hunter-Reay and other top-level race car drivers," Kroll said in an recent interview with Benzinga. "In 2006, I decided it would be a good idea to start making electric race cars because I felt bad for the way the automobile industry would be going,” Kroll said in a recent interview with Benzinga. The micro-cap stock trades around $1.46 per share. On Oct. 7, Electra Meccanica announced a direct offering of 4.25 million shares at $2 each. The net proceeds are intended for the further design and development of its Tofino two-seater. Pollution generated by vehicles has become a massive problem in an increasing environmentally aware world. Many large vehicles are taking up space in traffic with only one commuter in the car. Electra Meccanica has tasked itself with solving these problems, and their solution is an electric single-person commuter vehicle. According to the U.S. Census Bureau, 76 percent of Americans commute to work by themselves, meaning there are three unused seats taking up space in most cars on the road, causing traffic and extra pollution. “[It's] intended to be the Volkswagen Beetle of the 21st century — a very simple car, a very intuitive car that appears to be less than you need, but when you actually start to use it, you realize that it’s everything that you need in the 21st century,” Kroll said. More Solos on the road means less traffic for everyone. It's not meant to be a replacement for a full-size sedan, but a complement, the CEO said. "A regular car is like an iMac, a Solo is the equivalent to an iPhone. For most people today, their smartphone is actually their primary computer. You will only drive your sedan when you absolutely need to bring other people with you." In terms of three-wheeled vehicles, this isn't Kroll's first rodeo. Before the Solo, there was Corbin Motors Vancouver's Sparrow, another automotive company where Kroll served as CEO, acording to Seeking Alpha. While it was featured in "Austin Powers in Goldmember" and "Looper," the Sparrow never successfully featured. The automotive industry is in a stage in which electric car companies like Tesla are arguably grabbing as much or more attention for their innovation than the Big Three, and ride-hailing services such as Uber and Lyft are experimenting with autonomous vehicles. Electra Meccanica sees the public's attitude shifting in favor of electrification, Kroll said. “Our company’s mission is to close the last gas station, and the best way to do that is to provide people with an electric car that they can use right away for most of the mission, which is to commute. 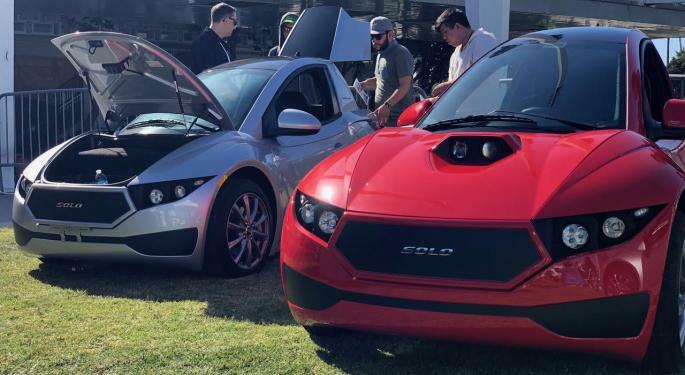 The Solo does everything that any other electric car will do, it will park anywhere; people only have to want and be willing to pay less for it." Meccanica is developing more models beyond the Solo, as well as technology that could benefit the entire EV sector such as wireless charging, Kroll said. It's also trying its hand at autonomous vehicles and planning corporate partnerships. While most electric cars remain unable to reach the distances their internal combustion counterparts can achieve, they will in time, if innovators like Kroll are to be believed. Meccanica has achieved the distance it wants the Solo to attain: 100 miles is all that's needed for a commuter car, the CEO said. “Electrons are electrons. You can plug it into any wall outlet, any 110-volt or any 220-volt like the regular J1772 plugs we see around. The important thing to remember is that in the U.S., there are already 80 million electric clothes dryers, and charging really isn’t an issue, as that is the exact same plug that you need for an electric car." While people have become accustomed to driving gasoline-powered cars, the earth has not: the recent shift to lower fossil fuel consumption is due in part to environmental concerns and in part to the fact that fossil fuels will eventually run dry. "If I tell people I could get them a really wonderful deal on a gasoline-powered refrigerator for their kitchen, they would think I'm crazy. It would be smoky, it would break down, it would need repairs and it would have to have maintenance," Kroll said. "Why wouldn't I want an electric refrigerator and plug it in and just keep it clean for 20 years? It's the same service model for an electric car." Few companies have successfully marketed three-wheeled vehicles, and with an increasing amount of electrified competition, Electra Meccanica faces an uphill battle. Investors would be wise to keep a close eye on Electra Meccanica's ability to grow sales and its market share potential for a low-cost, single seater EV.